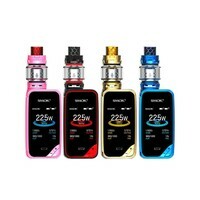 The SMOK X-PRIV 225W TC Starter Kit is the latest follow-up to the wildly popular PRIV line-up, presenting a beautiful display-focused structure device with highly customizable technology to pair with recently released TFV12 Prince Sub-Ohm Tank. 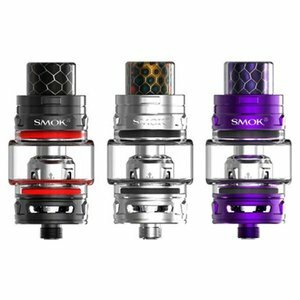 The SMOK X-PRIV 225W TC Starter Kit is the latest follow-up to the wildly popular PRIV line-up, presenting a beautiful display-focused structure device with highly customizable technology to pair with recently released TFV12 Prince Sub-Ohm Tank. The X-PRIV 225W Box Mod has been developed to integrate some of SMOKTech's most creative design elements, crafting a visually striking chassis centered around the large OLED display. 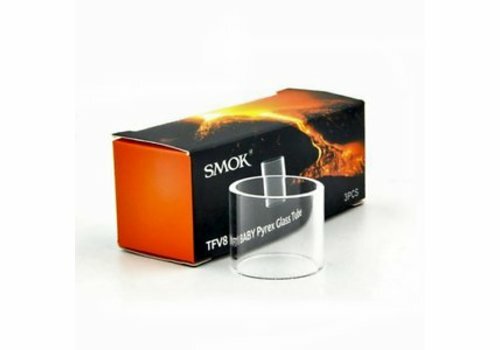 The chassis features curvature lines with high-end impression in a wide variety of colorful finish to create a timeless piece. Powered by dual high-amp 18650 batteries (sold separately), the X-PRIV has a maximum firing power of 225W and a plethora of output adjustments ranging from temperature control suite with added Memory Mode for increased precision as well a full-suite of protection. 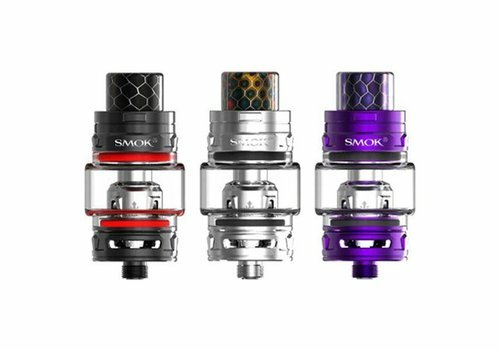 Each kit is paired with the new SMOK TFV12 Prince Tank, presenting a maximum capacity of 5 milliliters, new button-lock hinged top-fill, smooth dual bottom airflow control, and the versatile TFV12 Prince Coil System. Offering power, sophistication, and phenomenal build quality, the SMOK X-PRIV 225W TC Starter Kit is bound to be an X-factor device in the high-performance system segment. 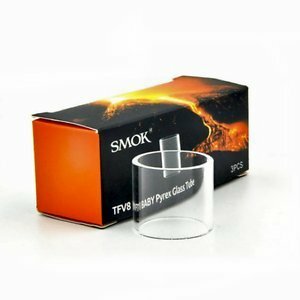 The SMOK TFV8 Replacement Glass Tube is a durable supplementary glass made specifically for the unrivaled Sub-Ohm Tank in the industry, the TFV8 Cloud Beast, TFV8 Baby Beast, TFV8 Big Baby, and TFV8 X-Baby.